Sieve flours, add sugar, salt, garlic powder and yeast and mix. Add all the liquids to dry ingredients, mix well to form a soft dough. Pat oil on top of dough and set aside to rise for 1 hour. Make rolls by cutting pieces of dough and shaping as desired. Place shape rolls in greased tray and allow to rise for 30 minutes. Bake in thermofan oven for 17 minutes / convection oven 20 mins or more. Brush with melted Parmalat (SA brand) garlic and parsley butter. 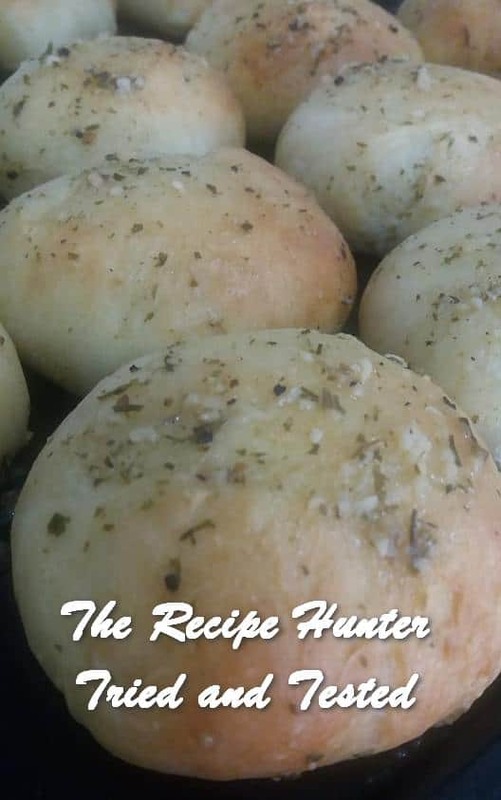 Enjoy this super soft yummy tasty dinner rolls with braised steak or any dish of your choice.